For clean ,easy loosening and tightening of flat oval wheel capsules and axle nuts, e.g. on BPW axles. For the dismantling and assembly of grease capsule on BPW axles. Suitable for exact torque with a 3/4" square drive. 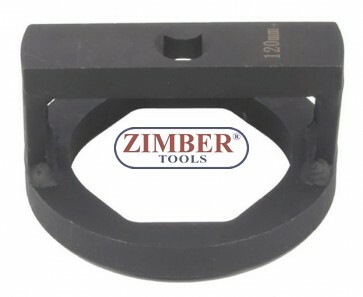 ‧Ideally suited for very high tightening and loosening torques.